Abstract—Loss of lives and huge damages due to tsunamis and flooding can be prevented by the principle of the stable vertical wall submerged at minimum 20m below sea level. Tsunami impulse waves are reflected and the build up of catastrophic tsunami waves near the coast is suppressed. A novel technology applies steel fences with horizontal anchors and stabilizes them by inserting rocks from above. A double-pontoon method allows efficient erecting such barriers starting from the coast. Hanging surge stoppers protect the barrier top against highest storm waves. The barriers form large seawater reservoirs to be used for tidal energy (by turbines fixed inside the barrier), for energy storage by pumps between reservoirs, and for large-scale fish farming, or the reservoirs are filled up for land reclamation. This architecture allows to build stable dikes, to prevent erosion of coasts and artificial islands, and to protect bridge pillars and offshore platforms. Index Terms—Tsunami barriers, submarine architecture, tidal energy, energy storage, fishing farms, land reclamation. Hans J. Scheel is with Scheel Consulting Company, 8808 Pfäffikon, Switzerland (e-mail: hans.scheel@bluewin.ch). 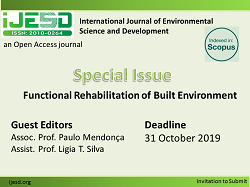 Cite:Hans J. Scheel, "Tidal Energy and Large-Scale Fish Farming, Benefits of Novel Tsunami and Flooding Barriers," International Journal of Environmental Science and Development vol. 5, no. 5, pp. 484-490, 2014.